THE NUTLEY SUN (Feb. 9, 1945) -- Sgt. Halsey Jenkins Miller, 30, son of Mr. and Mrs. David P. Miller of South Spring Garden avenue, and Sgt. Anthony Impellizzeri of Nutley avenue have been reported killed in action. Paratrooper Pfc. James Hobbs, son of Mrs. Annette Hobs of Park avenue, has been wounded. Mr. and Mrs. Miller received word Saturday that their son had been killed in Belgium Dec. 17. A communication received by them Jan. 7 said that he had been missing. He was with a field artillery observation battalion since going overseas in August having trained at Camp Carson and Camp Hale, Colo., after his induction October 1942. He was first with amphibious forces and took part in the invasion of Kiska, Alaska, in August 1943. A graduate of Nutley High school, Sgt. Miller was graduated from Newark College of Engineering and as an electrical engineer was employed by Richardson Steel company in Clifton before entering service. He was a member of the Vincent Methodist church. His fiancée, Miss Edith M. Scharling resides in Montclair. His mother is the principal of Spring Garden School. Sgt. 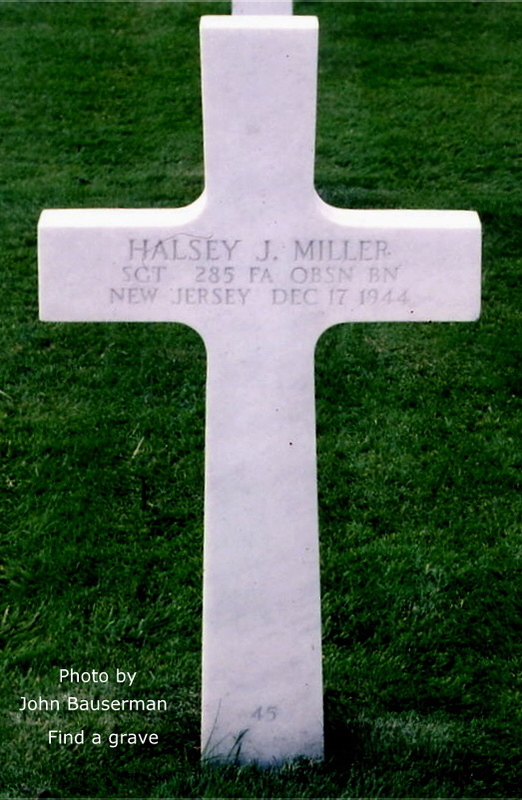 Halsey J. Miller, U.S. Army, 285th Field Artillery Observation Battalion, was killed Dec. 17, 1944. 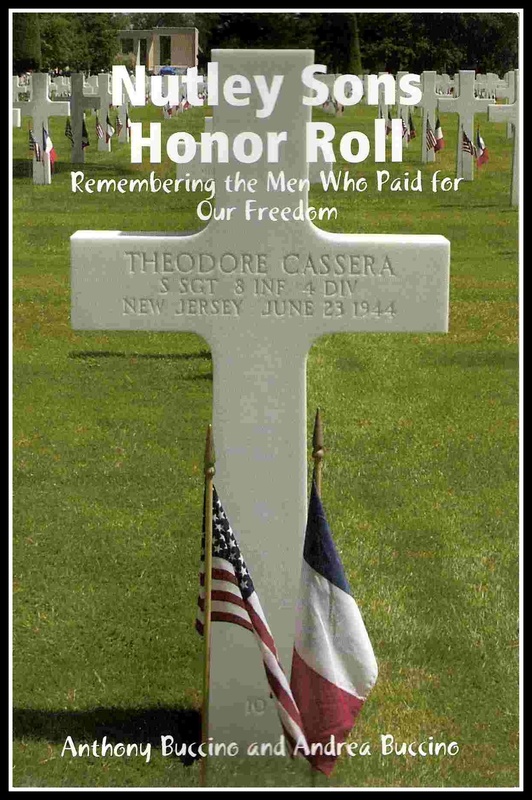 He is buried at Plot A, Row 9, Grave 45, at Henri-Chapelle American Cemetery, Henri-Chapelle, Belgium.